These Women! 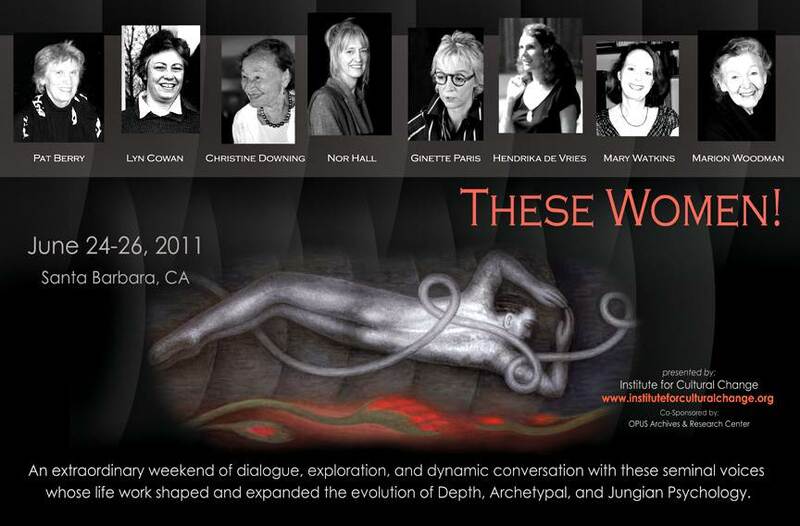 An extraordinary weekend of dialogue, exploration, and dynamic conversation with the seminal voices whose life work shaped and expanded the evolution of Depth, Archetypal, and Jungian psychology: Pat Berry, Lyn Cowan, Christine Downing, Nor Hall, Ginette Paris, Hendrika de Vries, Mary Watkins, and Marion Woodman. Scroll down at this link for more info. What’s in Your Red Book? This is a blog post from the Asheville Jung Center by Len Cruz, discussing how we are each making our own Red Book and inviting readers to post about their own experiences.